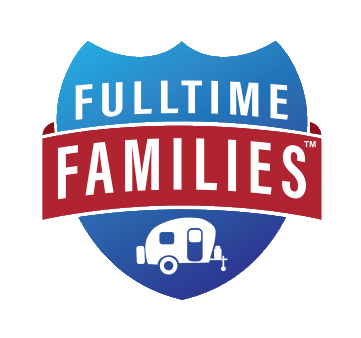 There has been an increase in people leaving the brick and mortar lifestyle and enjoying the simplicity of living in a camper full time. But not everyone is living in an RV, traveling the United States, and escaping the harsh weather. 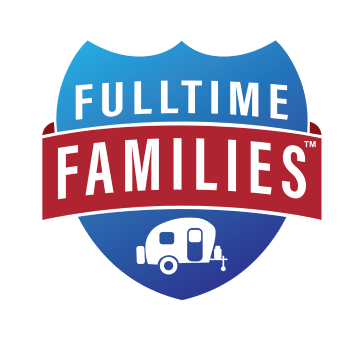 Many families who work in the pipeline or welding industry are discovering that living in an RV is much easier than trying to find a small apartment or house to rent every few months. But how are they able to survive in states such as Ohio, West Virginia, and Michigan, where winters often provide freezing temperatures? It has been around for decades and has gained popularity as more and more families are selling their homes and moving into an RV. They are realizing that RV skirting makes it possible to live in a camper fulltime in colder climates. RV Skirting, also being called “windskirting”, is simply material placed around the bottom of the camper. The main reason it is placed is to keep the undercarriage protected from the colder temperatures. It is a great way to keep you warm in the winter months, but many are starting to buy them to keep cooler in the summer as well. 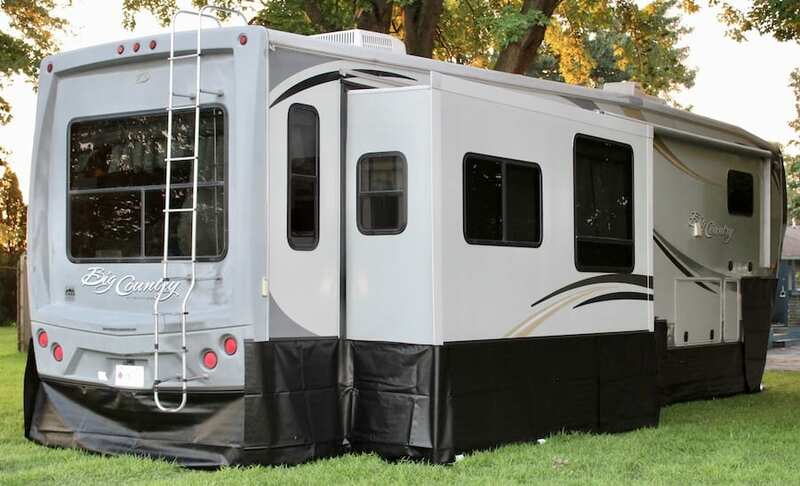 Skirting your RV provides a barrier from the cold and wind. There is so much heat loss through the floor of RVs that having the underneath sealed up traps the heat that escapes, leaving your floors feeling warmer. The small investment in skirting will have a huge return when your propane costs are lower and you aren’t paying for busted water lines. I have seen it way too many times where a camper thought they didn’t need skirting, but then temperatures dropped below freezing and they no longer had water because their lines froze. There is no way to unfreeze water lines without having it all sealed up and protected from the harsh elements. (If they do freeze and you have skirting, simple place a small heat lamp or heater underneath to get them to thaw out). Plywood is hard to manage and cut. It also cannot be taken with you if you move. Insulation boards are easy to manage and cut, but again, if you need to move the ground levels will more than likely be different so your boards won’t work. Straw/Hay bales will help but attract mice and other critters who are also trying to escape the cold and keep warm. Then you have tarps which are thin, rip easily, and are time-consuming when installing them. Now do you see why I recommend Vinyl? With our Skirting/Track system, it is super easy to install and durable enough to last you year after year, all while keeping the purchase cost lower than a custom skirting. Did I mention that there is no need to worry if you have to move? You simply slide the panels off, fold them up, and slide them back on when you arrive at your new destination! Our panels are plenty long, providing you with enough extra length for those different ground levels. 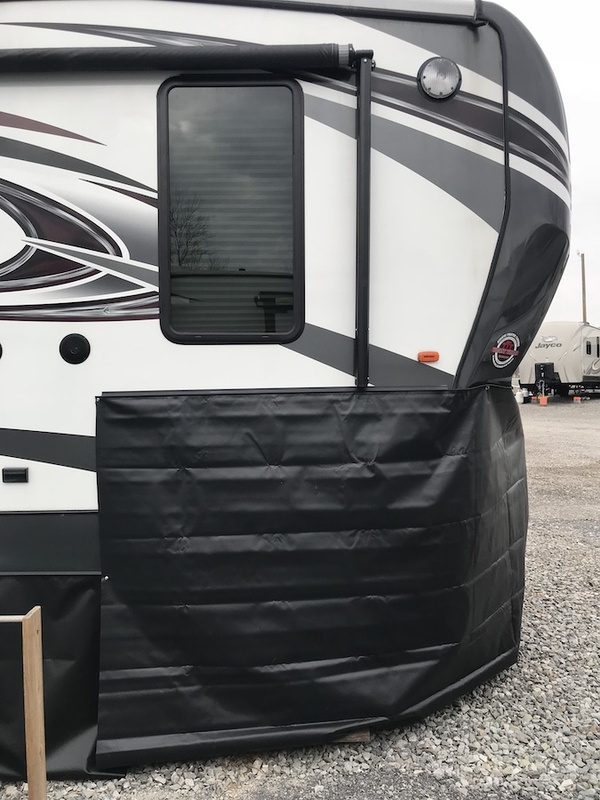 An RV Skirt provides wind protection, extra enclosed storage, insulation with decreased heating and cooling costs, tire protection, improved appearance (meeting new campground regulations), and undercarriage protection, making it a practical and wise decision. So are you ready for your camper to wear a skirt? You can visit our website to get yours today! Use the coupon code FTF10 to receive 10% off your purchase!! 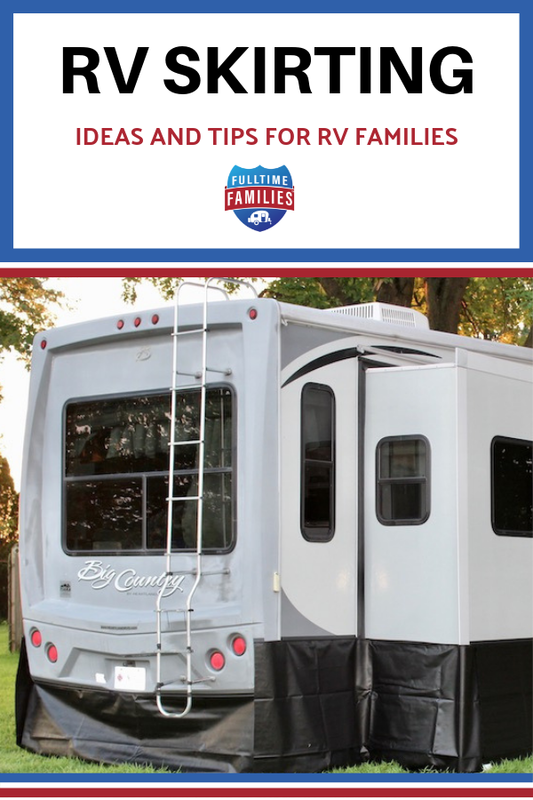 Bio: RV Skirting Pros keep families warm in the winter using the QwikSkirt system. They developed this system to be easy to install, easy to remove, lasting year after year. 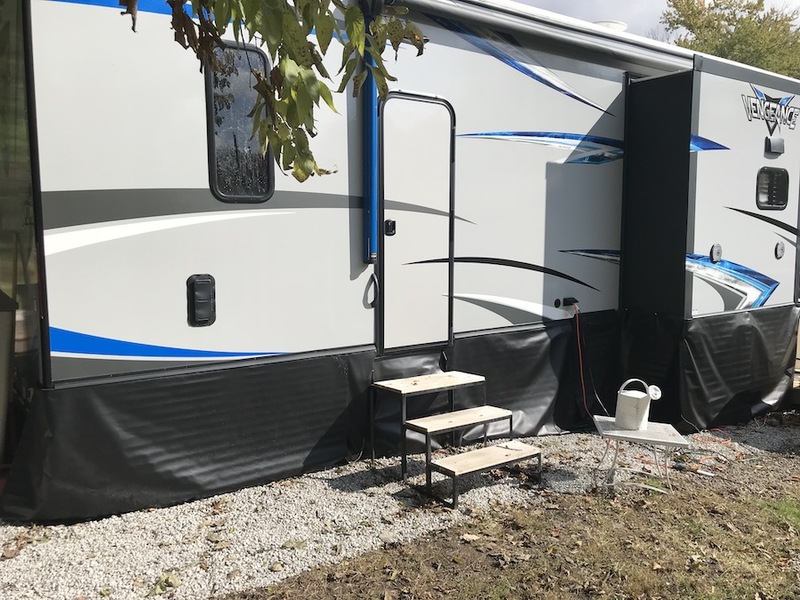 They are a full-time family as well, stationed in Indiana, and know the importance of a durable, well-made, budget-friendly RV Skirt.